Here is the list of the boutique* bicycle manufacturers, ordered by their name (starting with M). If you want to find a unique bike that fits your personality, review this list. M.A.P. is the acronym for Mitch Prior Bicycles. Mitch Pryor, is the owner and founder of the company. It is located in Chico, California, United States. Pryor builds fine handmade steel bicycles one at a time and has learned the craft of framebuilding from the master builder and painter Doug Fattic. Mitch has refined and expanded on these skills to include rack building with the help of fellow builder Joseph Ahearne. Machine Bicycle Co. was founded by Kyle Ward, who builds handcrafted road, cyclo-x, and track bikes. Based in Bend, Oregon, United States, Magic Cycle Werks was founded by Greg White, who is also the Chief Craftsman of the company. Before, he was a racing cyclist in Europe. Magic Cycle Werks builds handmade road, cyclo-x, all-road, and mountain bikes. The company was founded by Anthony Maietta. It is currently located in 10 Nate Whipple Highway, Cumberland, Rhode Island. Majaco (pronounced Mah-Jay-Co) Bicycles was founded in 2011 by Mark Combs. The company is based in Austin, Texas, United States. The motto of the company is “handbuilt for everyone”. Combs started his metalworking career in the Los Angeles area in the late 80s at an aircraft manufacturing company where the margin of error of his output was thirty-thousandths of an inch. He worked there, alongside his father, for over 20 years. Combs longed to follow his passion and attended Master Frame Builder Koichi Yamaguchi’s Bicycle Frame Building School and just knew he had found his spot in this world. In 2011 he moved to Austin, TX where he formed Majaco Bicycles. Majaco Bicycles is now Chumbo USA. The company is based in Twin Oaks Valley, San Marcos, California. The first Mandaric frame was built in 1976. 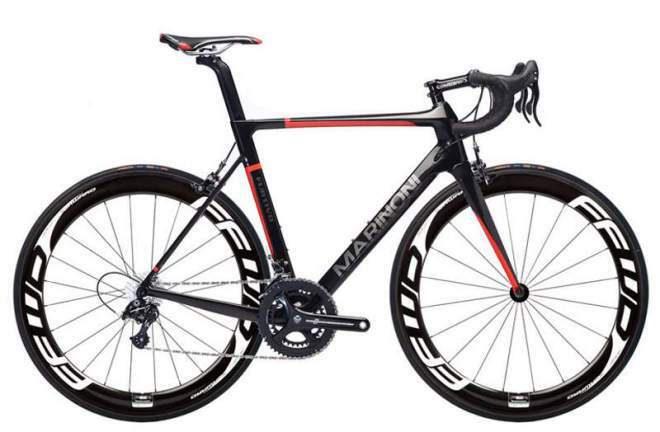 Marinoni Furtivo – frame: Monocoque carbon T800 (50%) / T700 (40%) / 40T (10%) EPS / Di2: Internal power unit & cables, fork: Carbon – 1-1/8″ x 1-1/2″, headset: FSA Orbit CF40 – 1-1/8″ x 1-1/2″ (121-0466), seat post: Aero (0 / 25 mm setback) – Included with frameset. 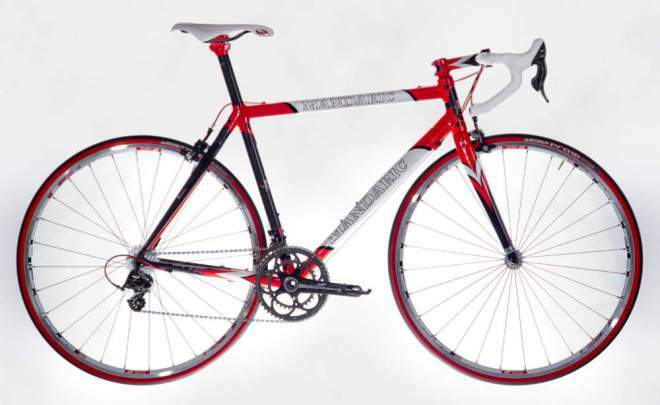 Marinoni Cycles was founded by the master frame builder Giuseppe Marinoni. They build handmade bicycles in Quebec, Canada since 1974. Giuseppe Marinoni personally hand-paints all his frames. Marinoni is also a keen cyclist – he broke the hour record for 74-79 age group on October 20, 2012. Mars Cycles was founded by Casey Sussman. 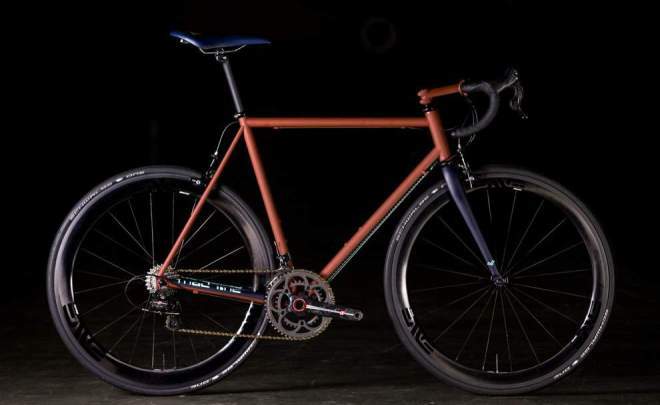 The company is 2015 NAHBS (North American Handmade Bicycle Show) peoples choice award winner and builds custom fillet brazed and lugged modern steel frames. Sussman studied the art of fillet brazing at The Bicycle Academy, in Frome, England. He is the only American to have attended their school. 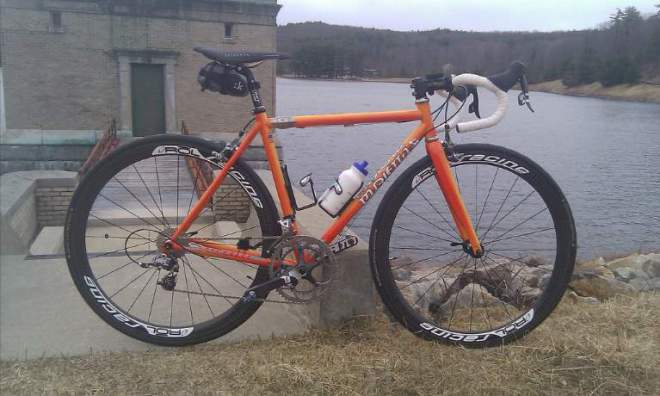 He builds large-tubed steel race bikes using tapered headtubes. Tubes are mitered by hand with a hacksaw and file. Cicli Masi’s roots go back to Faliero Masi, who commenced making bicycle frames at the Vigorelli Velodrome in Milan in the 1950s, after a career as a professional racer and team mechanic. Many well-known and successful professional cyclists of the era rode Masi bikes, such as Antonio Maspes, Fausto Coppi, Tom Simpson, Felice Gimondi, Jacques Anquetil and Eddy Merckx. In 1973 Faliero’s son Alberto took over the Vigorelli shop. 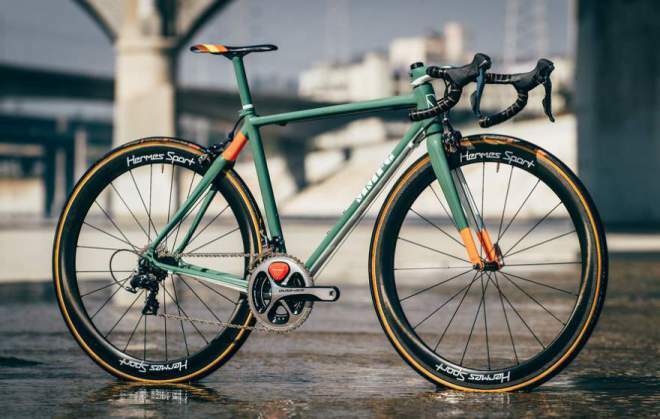 Faliero and two assistants went to the US and began production at a new facility in Carlsbad, California after selling the “Cicli Masi” name and trademark to an American businessman, Roland Sahm. Later, Faliero returned to Italy. Disputes over volume production caused a break in relations between Masi and the US Masi investors. The ownership of the US trademark remained with the US operation, so the Masi family were unable to sell bikes in the US under their own name. Faliero Masi died in 2000. The business was taken over by his son Alberto who learned everything there was to know about bikes and bike building from his father. When he was 16, he was Fausto Coppi’s mechanic at the Giro d’Italia. In 1982, he built the first bike made with oversized and ovalized tubes – the Volumetrica. Alberto Masi would later release bikes into the US under the “Milano 3V” name, he built about 500 handmade bikes per year. 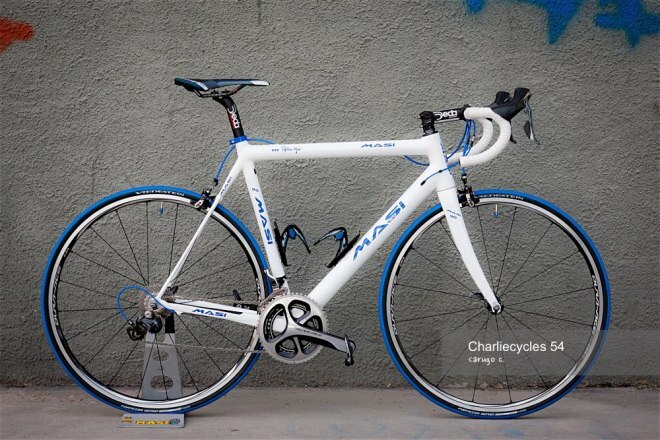 The U.S. rights to the Masi name and logo are now owned by Haro Bikes. Because Cicli Masi is completely separate from Masi USA, there can be a lot of confusion about the origin of a bike – whether it was actually built by Faliero or Alberto Masi, or by Masi USA. 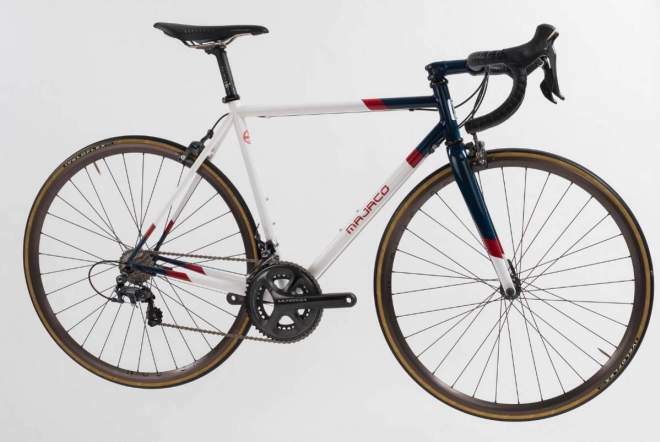 To complicate the things further, some Masi USA frames are actually built in Italy, but not by Masi. According to LaBicycletta.ca, if you want to know if you have an Italian or American Masi built after 1973, it’s all in the numbers. Italian built bikes have the frame size stamped on the bottom bracket and sometimes a matching size stamp and date stamp on the head tube. American made Masi’s have a serial number (with a few exceptions) or a serial number and frame size stamp. All Gran Criteriums built after 1978 are the U.S. made. And today, all frames made by Alberto Masi have his sign. 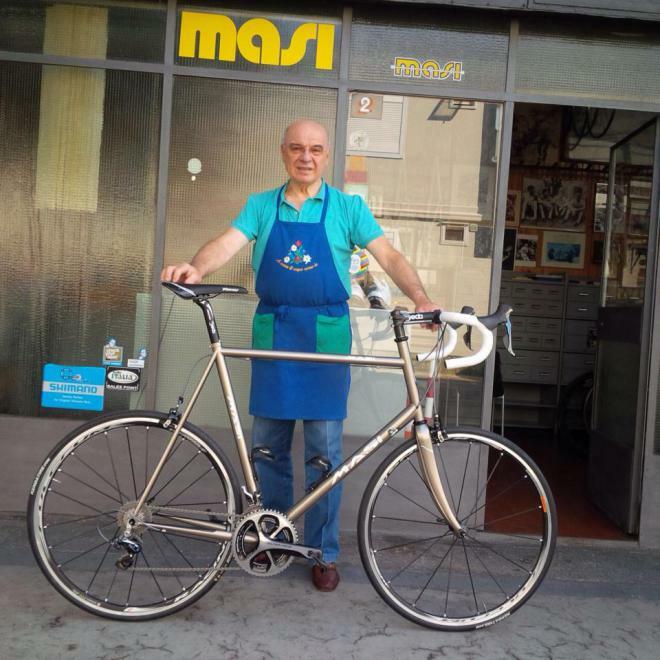 Alberto Masi Milano road bike. Today, all frames made by Alberto Masi have his sign. Founded by Chris McGovern, the company is based in Nevada City, California, United States. 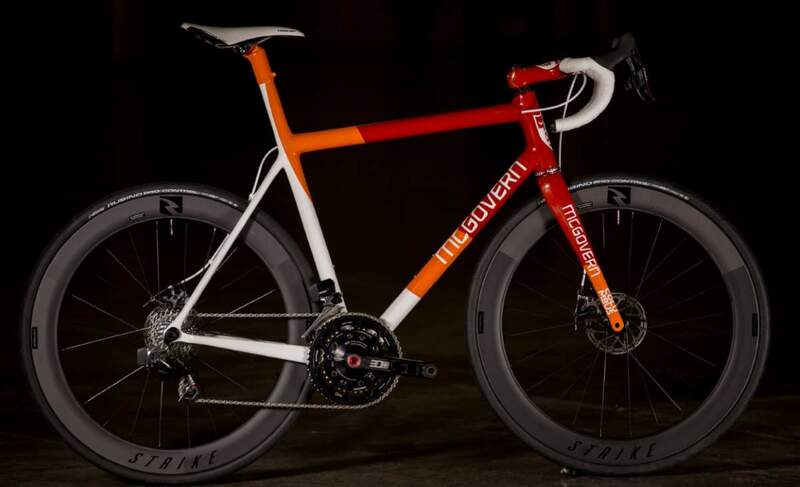 McGovern builds custom handmade bicycles using carbon and titanium. Chris McGovern has been rolling on two wheels since 1978. After getting his start in BMX, McGovern was brought up through the junior ranks riding on the road. Eventually, he made the jump to the professional ranks riding for the likes of Zaxby’s, Jelly Belly, Health Net, and the Sierra Nevada. While his professional racing career has ended, he has not closed the book on cycling. He currently resides in Nevada City, CA where he owns and operates McGovern Cycles and Cycleution Coaching. McGovern’s obsession with bikes led him to start building his own. What started as a side project developed into a passion to deliver a different take on the bicycle to the world. 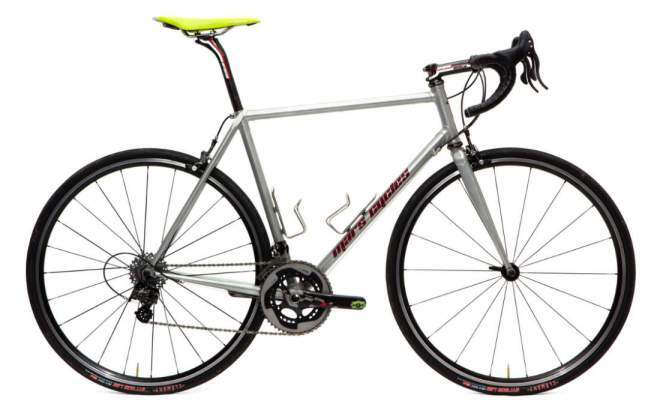 McGovern Cycles crafts versatile and stylish machines for any type of rider. Whether you are commuting into work or racing nationals, McGovern Cycles will get you where you are going efficiently and with panache. Meriwether Cycles was founded by Whit Johnson. Meriwether is his nickname, after Meriwether Lewis of Lewis and Clark Notes 1. The company is located in Foresthill, California, United States. Johnson builds road, mountain, cyclo-x and touring bikes with a motto of “handbuilt custom steel bicycles to help you get lost”. Founded in 2013 by Jamie White, Métier Vélo LLC is a small-scale custom bicycle design and fabrication shop in Salt Lake City, Utah, United States. 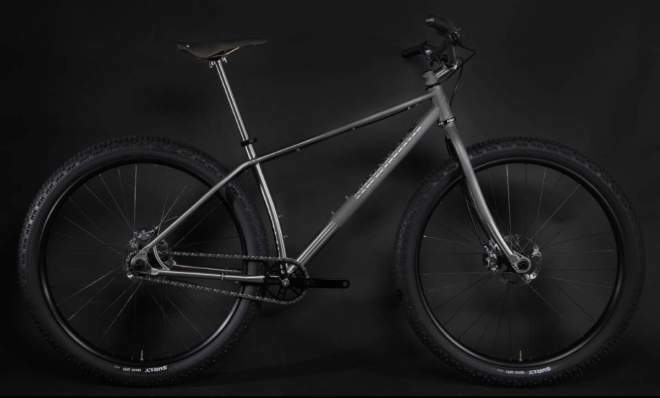 Métier Vélo bicycles are built with 3D-printed titanium lugs to join carbon-fiber tubes. Based in Los Angeles, California, United States, the Montenegro Manufacturing produces handmade carbon-fiber and bamboo bicycle frames. The company was founded (in August 2013) and owned by Hernan Montenegro. He also offers carbon repairing service. The company was founded by Todd Heath in 2014 and located in Fort Collins, Colorado, United States. Moots Cycles has been handcrafting bicycle frames in Steamboat Springs, Colorado, United Statses since 1981. 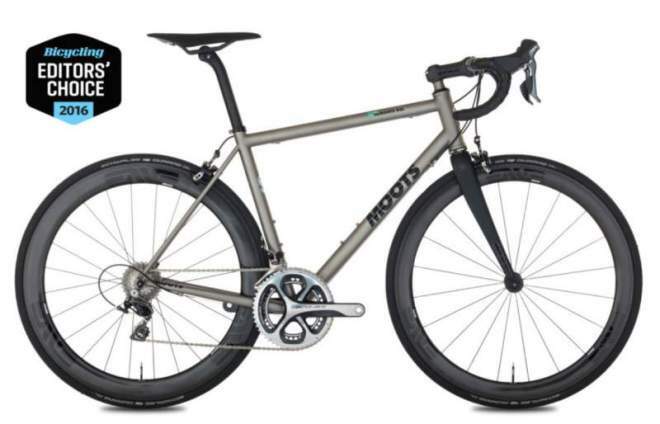 Unlike many other manufacturers above, Moots is not a one-man-show. They have more than 20 people aboard who are also active cyclists. The Mosaic RT-1 is a performance bred piece of equipment that knows no limits, it is the pinnacle of what Mosaic has to offer. 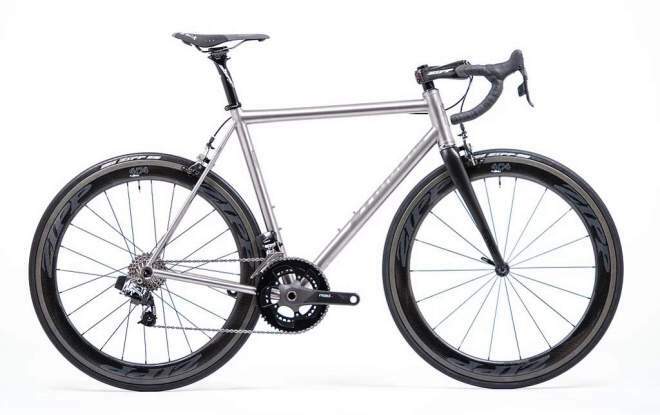 A particular blend of oversized internally double butted and thin walled straight gauge tubes make a responsive handling characteristic without losing the quality ride titanium frames are known for and keeping the weight as low as possible. As our flagship road model the RT-1 is delivered in any configuration of road components and spec: caliper, disc, SRAM RED eTAP, Shimano Di2 and more. Complemented by full custom geometry and choice of raw etched titanium the RT-1 will truly be unique to each rider. Located in Boulder, Colorado, United States, Mosaic Cycles is a family operated small batch builder of handmade bicycles. The Lewis and Clark Expedition from May 1804 to September 1806, also known as the Corps of Discovery Expedition, was the first American expedition to cross what is now the western portion of the United States. It began near St. Louis, made its way westward, and passed through the continental divide to reach the Pacific coast. The Corps of Discovery comprised a selected group of U.S. Army volunteers under the command of Captain Meriwether Lewis and his close friend, Second Lieutenant William Clark.